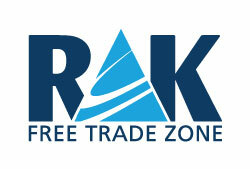 Ras Al Khaimah Free Trade Zone (RAK FTZ) is one of the three primary offshore jurisdictions in the UAE. RAK FTZ is now part of Ras Al Khaimah Economic Zone (RAKEZ), an authority established to administer and amalgamate the specialised clients of both RAK FTZ and Ras Al Khaimah Investment Authority (RAKIA). GCC Solutions works in close corporation with RAK FTZ as a registered agent and can provide offshore company set up services to create a bespoke offshore company. The company can benefit from over 40 Double Taxation Treaties (DTAAs) as well as its status as a white-listed independent jurisdiction for offshore purposes. High level of confidentiality. It is not required to disclose director and shareholder information. Why choose GCC Solutions for RAK Offshore company set up? GCC Solutions has healthy relationships within the financial sector of RAK and can offer our clients with a synopsis of the financial institutions in RAK for your offshore company. We can assist with the opening of bank accounts in multiple currencies for your Offshore Company, including USD, Euro, CHF, GBP as well as many others. For more information on RAK Offshore Company Formation, please contact us to arrange a consultation.